I see being a pediatrician as a collaborative effort between myself, children, and their families. Together we work to treat illness and promote wellness from infancy to adulthood. I believe there are many ways to raise happy, healthy, and well-adjusted children." Dr. Lickteig was raised as one of seven children in Wichita, Kansas. After completing her undergraduate work at Kansas State University, she spent several years doing Biomedical Research in Houston, Texas. In 1991, she obtained her medical degree from the University of Texas Southwestern Medical School. She completed her pediatric residency at Fitzsimons Army Medical Center and went on to practice pediatrics with the Army in Germany for 3 years. Dr. Lickteig settled in Portland in 1998, working in Pediatric Urgent Care, the Emergency Room, and as a Hospitalist through Emanuel Children’s Hospital. Because she enjoys working as a Pediatric Hospitalist and training medical students and residents, she continues to do so a few nights each month. She has been with Metropolitan Pediatrics since 1999. Dr. Lickteig and her husband enjoy spending time with their three “grown up” children, continually fixing up their old house, reading science fiction, cooking, and eating. She recommends teaching your children how to cook because they’ll eventually get good at it and make you dinner! "Our family LOVES Metro Peds!!! 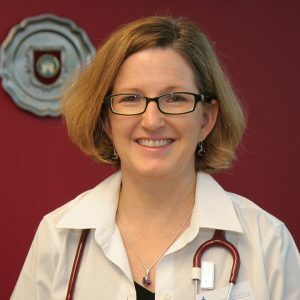 Karen Lickteig, MD is our Pediatrician and she has taught me more about parenting than anything else. I cherish her as a part of our parenting team for our family!!! Everyone in their office is kind and professional. I would send my best friends there and have!!" "I have three sons age 18, 19 and 25. We have been going to metro pediatrics for 23 years now. My youngest was recently treated by doctor Licktieg for a finger infection. We love her. She feels like family. Metropolitan Pediatrics has been there through every illness. All the staff have been excellent. Such a comfort. They have helped me raise these three boys. I'm so sad that when my last son graduates from high school we have to move on. Highly recommended." "Karen Likteig is a great doctor. She’s funny, knowledgeable and caring. The nurses are also all extremely kind. The office returns calls quickly. I’m very happy with this pediatric office."